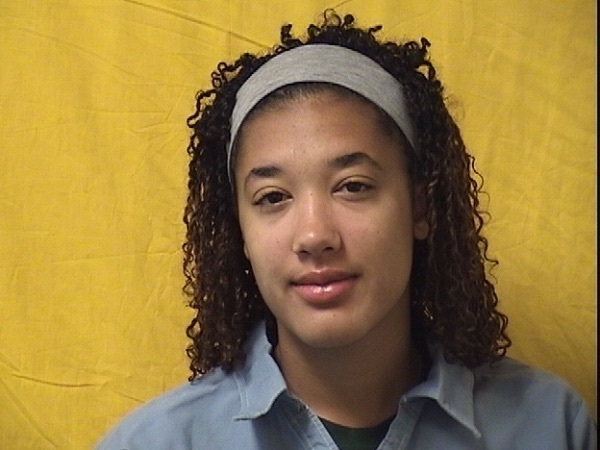 If Cyntoia Brown can be released from prison, why not trafficking survivor Alexis Martin? “Justice in America,” hosted by Josie Duffy Rice and Clint Smith III, is a podcast for everyone interested in criminal justice reform—from those new to the system to experts who want to know more. The first season launched in July and featured interviews with guests including Ta-Nehisi Coates, Rashad Robinson, John Legend, and Gina Clayton. The second season begins Wednesday and will feature conversations with activists, journalists, and lawyers including Wesley Lowery, Sara Totonchi, Marlon Anderson, Abd’Allah Wali Lateef, and Alicia Bannon. In this Q&A, we hear from Josie and Clint about the new season and what to expect. When we spoke at the beginning of Season 1 you explained that many of the topics you highlighted in your conversations, like bail, plea bargaining, prosecutors, and crimmigration were great starter topics, a way to understand many of the big problems that influence this system. What were some of your guiding principles as you decided on the guests and topics for Season 2? This season, we are doing something new, as well: We start each episode with a common criminal justice-related word or phrase and dissect the ways in which it is misused or misunderstood. We talk about phrases like “violent criminal,” “diversion program,” and “recidivism”—all of which are thrown around without real interrogation of what they signify. Our goal is to give our listeners tools they can use to be more discerning consumers of criminal justice or crime-related news. In the first episode of Season 2, which will be available for download Wednesday, you talk with Jon Rapping of Gideon’s Promise, an organization founded to change the public defense landscape across the country by training and supporting new public defenders. What was that like? What will listeners get from hearing that conversation? We wanted to begin with public defense because of the critical role public defenders play. For about 80 percent of defendants, public defenders are the only thing standing between them and the power of the state. It’s hard to convey just how critical public defenders are to our system, and how unjustly under-resourced they are across much of the country. Jon Rapping has had such a major impact in the public defense field, and we really enjoyed talking to him about how he views the role of the public defender. It was a fascinating conversation, particularly when he talks about how his perspective regarding the role of the public defender has evolved over the years. A lot has happened, both good and bad, since “Justice In America” launched in July—the November elections and results at the local, state, and federal level; the passage of the First Step Act, which was hailed as a bipartisan victory but ended up being an extremely limited, and in many ways problematic, piece of federal legislation; the deepening crisis in how immigrants are treated, at the border and elsewhere. How have recent events shaped the conversations for Season 2? Josie: Unsurprisingly, the narrative that surrounded the passage of the First Step Act was unfortunately similar to what we’ve seen time and time again. People who have experienced the criminal justice system were split into unreasonably simple categories, the good and the bad, the innocent and the guilty, those that “deserve” to be part of this system and those who don’t. But things are not that easy and, even if they were, our system is not that logical. On the contrary—our system is cruel. It is racist, it is classist, it is harmful and destructive. The question is not just what people in the system deserve, but whether or not we as a nation are comfortable inflicting unimaginable, unpredictable, and unbearable pain on other human beings. We cannot change people for the better through harming them. Many were encouraged to see movement on this issue by this White House. And good changes can happen in small increments. I certainly don’t want to disregard the very real impact some of this legislation will have on real people’s lives. But the legislation does not exist without context. The policies put forth by the president have been nothing short of barbaric. And so we cannot truly call this change significant as we continue to see violence in our prisons and violence at the border. We must ensure we don’t validate an authoritarian and racist criminal justice system. True reform will not be conceived by Congress or at the White House, none of whom have had to fact the humiliation and injustice that so many others have faced. It must begin with people on the ground, particularly those in the system. It’s more clear than ever that we have light years to go before we can ensure a fair or reasonable justice system. In fact, I am increasingly convinced that to really ensure justice, we would have to dismantle this system entirely and start from scratch. This season we talk to Mariame Kaba, a visionary organizer who has been fighting for years against the criminal system, about restorative justice and prison abolition. I believe she’ll broaden the spectrum of possibility for our listeners who are new to criminal justice reform. Change is possible and can go far, far beyond the First Step Act.